When you read this the weather will have cooled off a bit and the crisp fall air should be in place. Hopefully this will put you in the mood for Grange work. 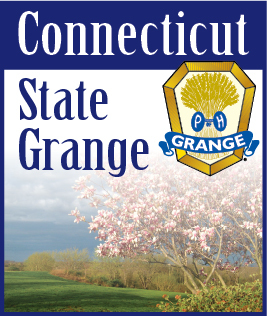 There is a lot to be done and what better way to get started than to attend all or part of our State Grange Session. Here we can reap the rewards of our last years’ work and get information on what’s ahead. Saturday evening is when the Lecturers Awards will be given out. Come and enjoy the banquet and sit back and enjoy the music of the Bristol Old Tyme Fiddlers. This is also a great time to visit with old friends and make new ones. You can exchange ideas and bring them back to your own Grange. We all have a lot of work to do to keep our Granges strong and healthy. Let’s use the invigorating fresh air of autumn to create new programs that will bring out our current members and to attract new ones.